A super tough replacement for toxic polyurethane. Mountain is very hard and highly scuff resistant. It is a sustainable, Cashew based technology that is very useful on medium to high traffic floors and woodwork. The worlds only 99% natural, ROCK HARD natural wood finish. A healthy sustainable finish made from Cashews! No Polyurethane. No Isocyanates! Highly Durable. Making a difference: The Worlds only 100% Natural Urethane! There's no polyurethane like this! This hard coating comes from Nuts, Veggies and Fruit, 100% renewable resources. The components are non food source, renewable waste products which means they do not contribute to the farmland and food shortage. We've been able to exceed the hardness, chemical and water resistance of many polyurethanes while achieving a georgeous natural glow! Earthpaint never uses n-methyl pyrrolidone (NMP) the low odor, toxic solvent in water based polyurethanes (yep, even some "green" ones) and we never will!!! Nor do we use ethyl benzene, xylene, isopar (mineral spirits), stoddard solvent or poisons like these (also in some so called "green" products). We use pure, renewable citrus solvents made from the waste of oranges! Citrus is currently the most responsible option for coatings when all things are considered. Mountain does need to be used properly so read Brochure, TDS, MSDS and Labels before using. 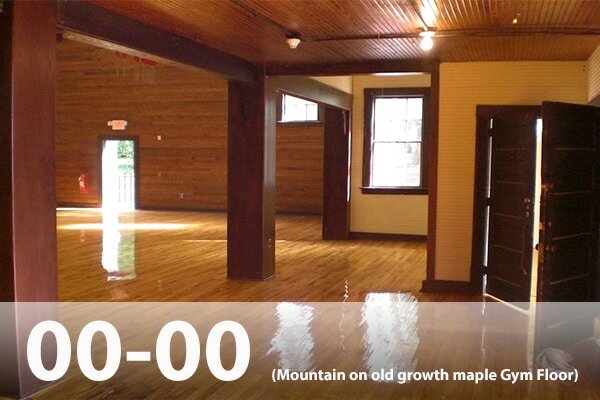 Square Foot Coverage: Figure 600-800 Sft / gal on most hardwoods. Less on soft woods. Apply 3 coats medium traffic. 4 coats high traffic. Limitations & Considerations: Mountain is a natural urethane, in fact it is the World first natural urethane that we know of. 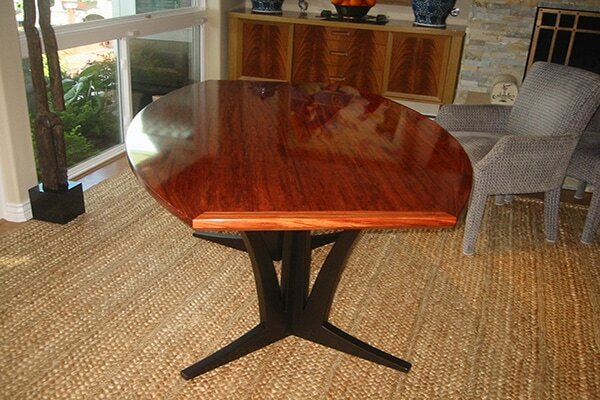 It replaces toxic polyurethane made with isocyanates. It is not a fast drying polyurethane. It can require some patience and practice. Dust tends to settle in oil based finishes that dry slow, so sometimes it is better to apply it as a rubbing oil instead of using a brush or roller. A foam floor applicator pad applies an even thin film. This can be useful as well. It cannot be applied thick or it will wrinkle. That said, most people who want a natural, renewable polyurethane alternative, are able to learn to use Mountain fairly quickly. Full instructions are on the back label. For a fast drying finish we recommend NanoTech. Often this is used as the final coat over Mountain on furniture and projects where room dust cannot be eliminated fully. On floors, Mountain generally dries overnight and lays down quite smooth, since the entire room is generally cleaned of dust. Dry Time: Typically dries overnight (12-24 hours) but this is entirely dependent on wood type, atmospheric conditions and method of application. Humidity and coldness extend dry time. Adding colorant extends dry time. Corn Solvent is sometimes added up to 1 quart per gallon to help speed dry time. 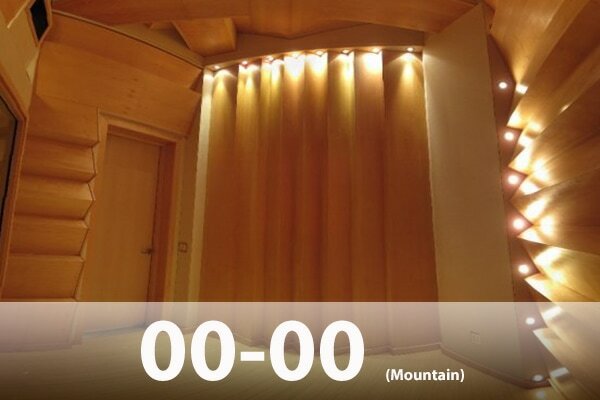 Mountain penetrates very deep and illuminates the wood grain brilliantly. The cashew resin especially compatible with exotic wood types that tend to be too dense for most finishes to penetrate. On soft woods it is an ideal choice when maximum penetration and hardening is desired. 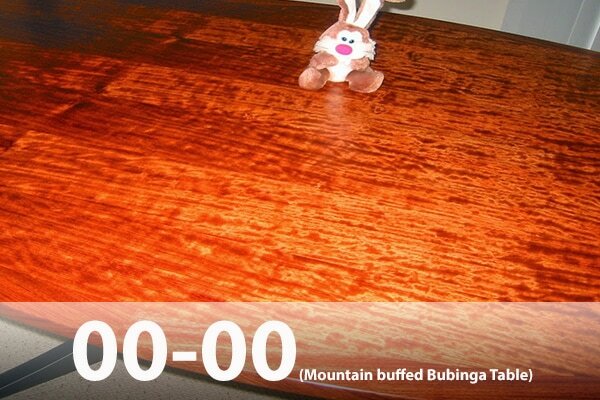 This bubinga table was applied with a rubbing oil technique; wiping on 4 or so coats to build a film just barely above the surface. Sometimes fine woodworkers prefer to use NanoTech as the final coat. The first few coats of Mountain provide a highly illuminated wood grain and the final coat of NanoTech provides a crystal clear, flawlessly smooth final coat. Since NanoTech dries fast it can be used even in dusty shops, with excellent results. The Bryson Gym at Warren Wilson College gets a regular workout! Brought back to life with 4 coats of Mountain mopped. 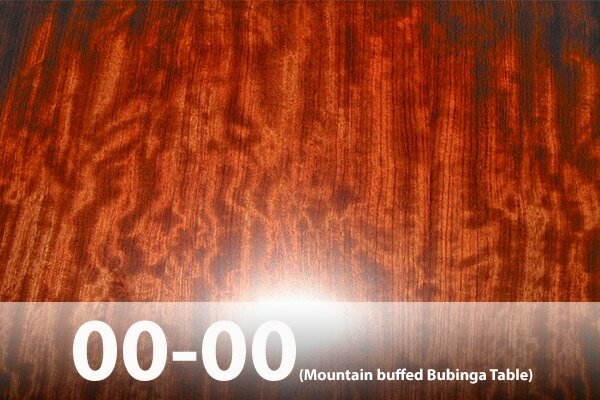 Mountain is a great floor finish especially when something highly scuff resistant is called for. This cashew based formula is the toughest floor finish that is made almost entirely from renewable materials. Isocyanates are never used at point from manufacture to landfill. Multiple thin coats get mopped on, generally one per day for 3 or 4 days. Sanding between coats is important with a high gloss coating such as this. Mountain is impervious to water and highly chemical resistant. 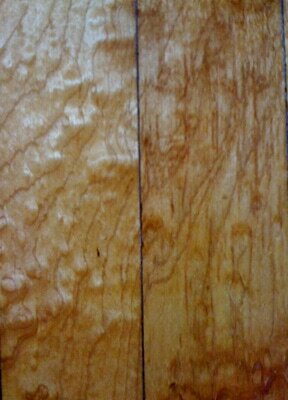 Wood Grain Illumination of Old Growth Maple Flooring. 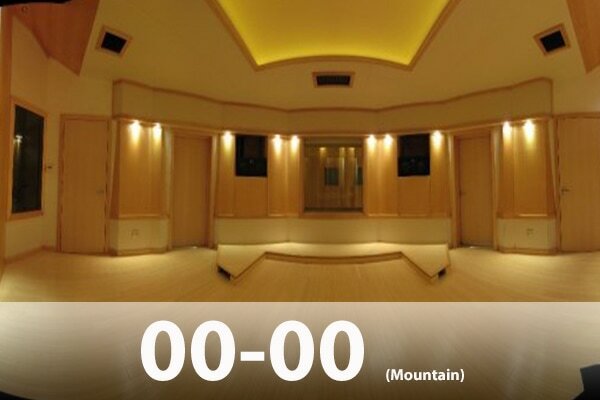 For special projects that need that extra touch, Mountain can be the best choice. It has a unique, natural looking gloss. It's a hard glossy film but has a different character than the plasticky polyurethane. It's not brittle like that. If you coat cardboard with Mountain and then let it dry; you can wrinkle up the card board and it won't blister off like most polyurethanes do. ​It's a beautiful natural gloss.